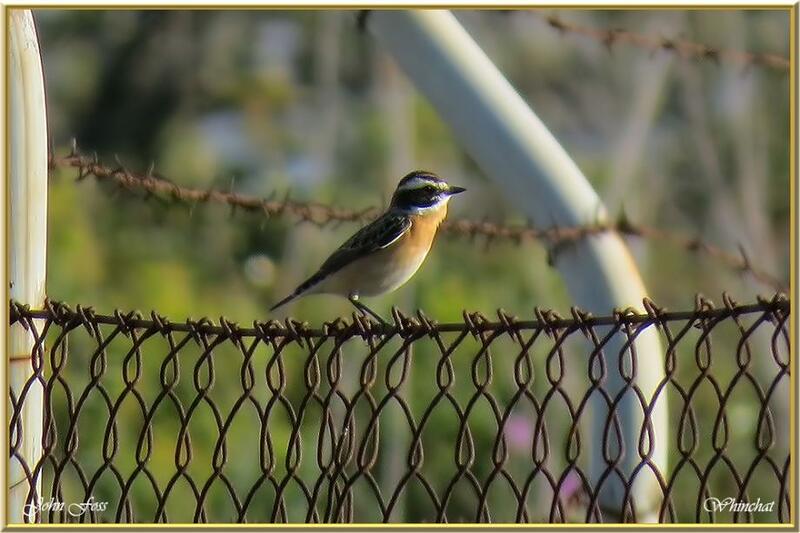 Whinchat - breeds in Europe and winters in Africa. A solitary bird found in open country. Seems to prefer an elevated position to hunt for insects and invertebrates that come close by. Although a common species with a wide range they are amber-listed in Ireland due to a decline in the breeding population. This one was photographed at Praia De Rocha in Portugal.